When I am away from home it’s a treat to eat out and gain inspiration. Sometimes though, it’s just not what I feel like. It’s nice to have the main meal of the day at lunch and then choose something lighter for dinner. This can be particularly applicable when in the middle of a big city, or on the road. Sometimes it’s hard to find somewhere suitable to eat, especially if tired, unfamiliar or jet lagged and if a take away is the only option, it can be most unappealing. So if I’m not in a position to cook, like being in a hotel room and not interested in going out, this is my solution. If I’m able to access a supermarket, this is an achievable meal without any cooking and minimal preparation. It can be healthy and relatively inexpensive. 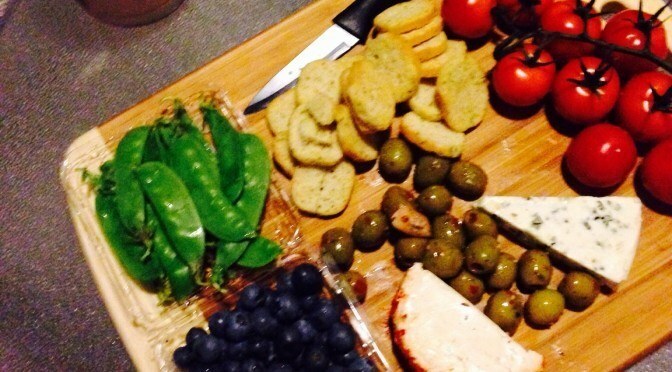 Make a platter. This is how I do it. Seek out a local supermarket. These are much more commonplace in city spaces now. Or if out on the road, this can be gathered at an opportunity, or prepared beforehand. See what looks freshest and requires little or no cutting up and might be in disposable containers to facilitate washing. 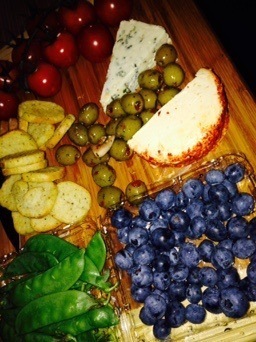 truss tomatoes,snow peas in season, blueberries in season, stuffed olives some chilli cheese, a blue cheese, cracker biscuits. Add a cheap knife and board, a plate would also be suitable. Then team it with sparkling water, wine of your choice, or a nice cup of tea. 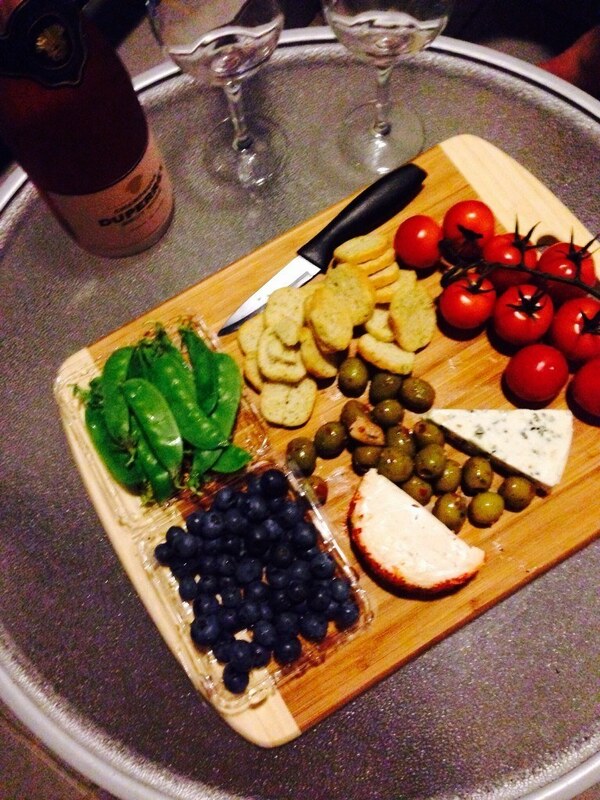 Of course, you don’t have to be away to enjoy a platter like this!